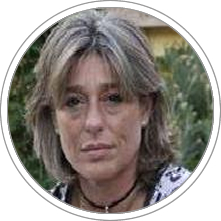 Esther Somoza has a degree in Industrial Psychology from the UB, Master in Human Resources at the School of Financial Studies, Active Coaching Training in Augere Foundation and Executive Master in Organizational Coaching EADA. It has the LIFO and NLP Practitioner accreditation. She is an associate professor at EADA, in the Strategy, Leadership and Peopla Area Programs, where she teaches management teams, leadership and negotiation. She is also visiting Professor at CENTRUM Catolics Graduate Business School.